Finding the best avocado slicer is very helpful for those individuals who eat this fruit on a daily basis. The avocado slicer is the best tool to cut open the fruit easily, and in just three steps you can take the meat out of the fruit without difficulty. All that you need to do is cut the fruit, take the pit out, and scoop the fruit. If you use a normal knife instead of the avocado slicer, then you may end up squeezing the fruit as it is very slippery and if you do no handle it properly, then there are chances of getting your fingers cut. 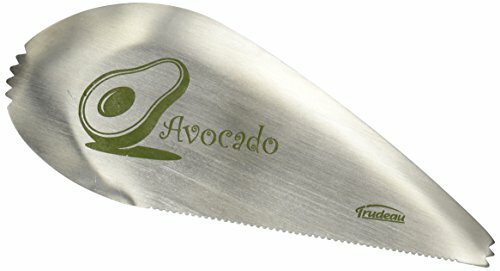 To avoid all that, here you can find 3 best avocado slicer reviews that can help you find the slicer for your daily use. OXO 3-in-1 Avocado Slicer is one of the best slicers that are available in the market. It is a very handy avocado slicer that cuts and allows you to remove the pit easily, and you can simply scoop the flesh efficiently. With this slicer, you can cut any size of Avocado, even the ripe fruit can be cut without making any mess. It comes with a non-slip grip even with wet hands, it is easy to use. This incredible and best Avocado Slicer is available in two colors, including white and green, and 100 percent dishwasher safe. Slice: The OXO 3-in-1 slicers contain a plastic blade that cuts easily through the fruit and the skin of the avocado, and it is designed in a way that the sharpness of the blade is strong enough to cut the fruit but at the same time safe to touch. Twist: You can remove the pit easily just by twist the tool, it is easy and without any stabbing, you can remove the pit. Scoop: You can easily scoop out the entire fruit and make perfect slices with the efficient and simple fan blade. 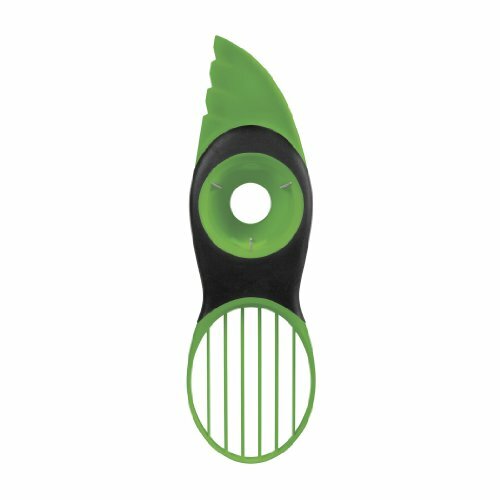 The Trudeau Avocado Slicer is one of the best options to scoop the avocado without making the messy job. It is a durable and handy 3-in-1 tool that makes the cutting avocado process easy, and it takes three steps to scoop the flesh of the fruit. The Trudeau Avocado Slicer’s sleek design allows you to cut, pit and scoop with its stainless steel blade. Chef’n Avoquado is a safe and quick 4-in-1 tool that allows foodies of all levels to slice, cut, pit, and scoop all sizes of avocados easily. The Avoquado is just what you need to make easy and quick guacamole as it contains safety blade for cutting through thick avocado, cubing, and slicing. This innovative avocado pitting tool makes your job easy, and the best part is no sticky avocado on hands. 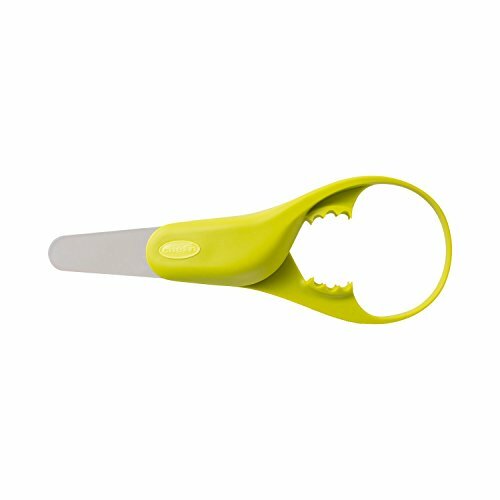 This patented Chef’s Avoquado f4-in-1 tool fits perfectly to all sizes of avocados and does not leave any waste. Now, you can easily make your favorite avocado salads, avocado toasts, or sandwiches Chef’s Avoquado four-in-one tool. All these three products are the best avocado slicer that offers excellent and easy-to-use options and it takes three simple steps to scoop the Avocado easily without making a mess.